Elite is known in beauty circles for providing talented, work-ready graduates to the industry and Blayze Rooney is no exception. 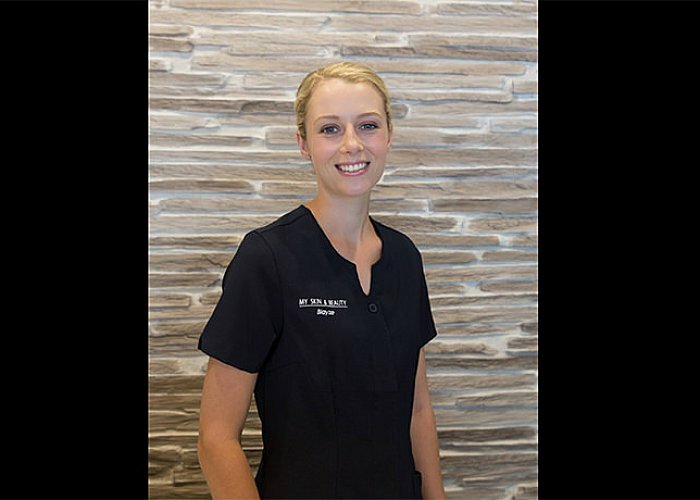 In 2013 she graduated with a Diploma in Beauty and Spa Therapies and two years later went on to win New Zealand’s 3rd Most Promising Therapist award at the New Zealand Beauty Awards. Blayze made the decision to move to Auckland and study at Elite after working at her grandfathers factory for a year after graduating high school. She was attracted to the beauty industry for many reasons including the hands-on nature of the job, the ‘people factor’, and the varied nature of the industry. Having found a job directly after graduating, Blayze spent time refining and practising the skills that she learned at Elite before embarking on her next challenge – starting her own business! She currently owns and operates the highly successful clinic My Skin & Beauty in Oamaru. Elite offers students the chance to sit international exams, including CIDESCO, and this is something which most Elite students make sure to take advantage of. Blayze was awarded top CIDESCO student in 2013 and believes that Elite helped her get to where she is today. Blayze's advice for students looking at studying is simple. Take the time to ensure you enrol at the best possible school, study hard, and ensure you are willing to work hard after graduating.